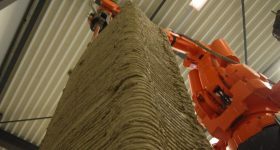 Graz University of Technology (TU Graz) in Austria is working on a project investigating the development of 3D printed concrete parts for construction. 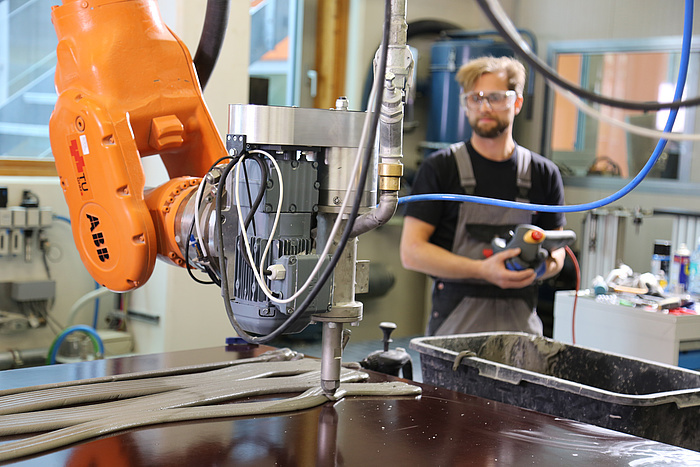 The Additive Fabrication of CONCRETE ELEMENTS BY ROBOTS (COEBRO) project is investigating the resource efficiency of using concrete with 3D printing. The aim of the project is to eventually implement technology into buildings. 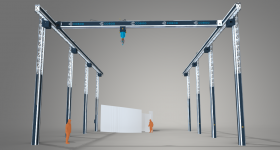 “What drives us, on the one hand, is a conviction that a leap in technology in the construction industry is possible,” explains Stefan Peters, head of the Institute of Structural Design. Founded in 2015, the COEBRO project features the collaboration of an interdisciplinary team of architects, engineers and material technologists. 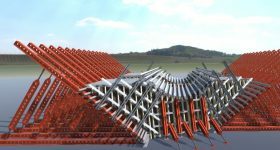 Members of TU Graz’s Institute of Structural Design have been working on the project alongside scientific and industry partners of TU Graz. 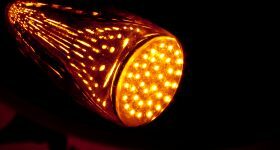 The project is funded by the Austrian Research Promotion Agency (FFG), a national funding agency for industrial research and development. More specifically, support for the COEBRO project is facilitated through FFG’s Bridge programme, a funding network that aims to carry out collaborative research with institutions and companies from the industrial and scientific sectors. The 3D print head mounted on the robotic arm. Image via TU Graz. 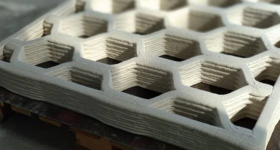 Using 3D printing, the COEBRO team is seeking to advance the production of prefabricated concrete parts from the current standard manufacturing process, which is casting technology. This method uses formwork to mold concrete into a desired shape. Through fabrication of a mold, this technique relies on raw fossil materials like coal and oil. It is also economically inefficient, as geometrically demanding formwork is expensive, thus limiting design freedom. 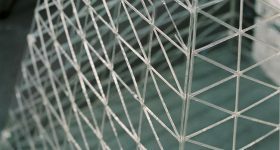 The COEBRO team thought about how they could manufacture construction parts with less concrete and resources, while maintaining the same robust qualities produced by casting technology. 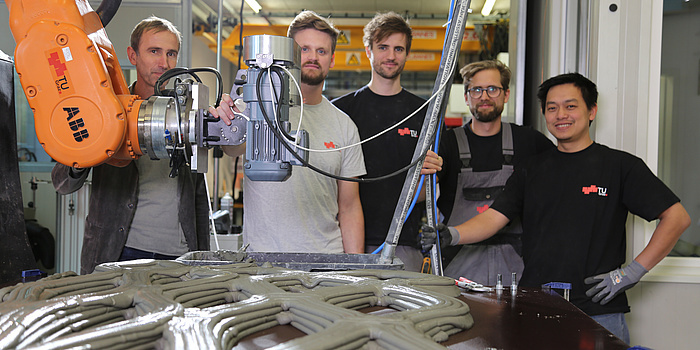 To do so, they mounted a 3D printer onto a robotic arm which can produce the concrete parts on the basis of a digital model – a totally “form-free” approach. In a test of the technology, two prefabricated concrete parts were successfully manufactured by the COEBRO team using their 3D printer. One part was based on a ceiling component utilized throughout European buildings, and the other a more complicated house facade which would be almost beyond the capabilities of casting technology. The successful printing of the first layers of concrete for the prototypes. Photo via TU Graz. The printing team after the successful printing of the prototype. Photo via TU Graz. 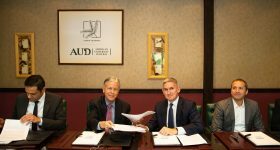 Stefan Peters and Andreas Trummer from the Institute of Structural Design head the COEBRO project alongside Bernhard Freytag from the Laboratory for Structural Engineering and Viet Tue Nguyen from the Institute of Structural Concrete. 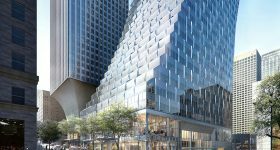 Also involved in the project are Swedish-Swiss tech and robotic arm corporation ABB, machinery supplier HAGE, chemicals company Sika, formwork and scaffolding maker PERI and prefab specialist Kirchdorfer. As well as the COEBRO project, there have been further endeavors to construct 3D printed houses. Texas-based construction technologies company ICON raised $9 million in seed funding to reinvent the construction of affordable homes using 3D printing. 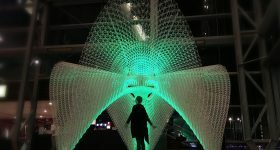 Furthermore, the Conference Board of Canada, a not-for-profit think tank based in Ottawa, released a report discussing 3D printing’s potential in construction, in order to provide more cost effective homes to combat the extremely harsh environments in Northern Canada. It is your final chance to make nominations for the 2019 3D Printing Industry Awards. 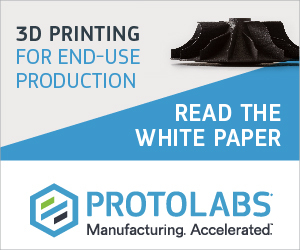 Visit 3D Printing Jobs to commence your career in additive manufacturing. 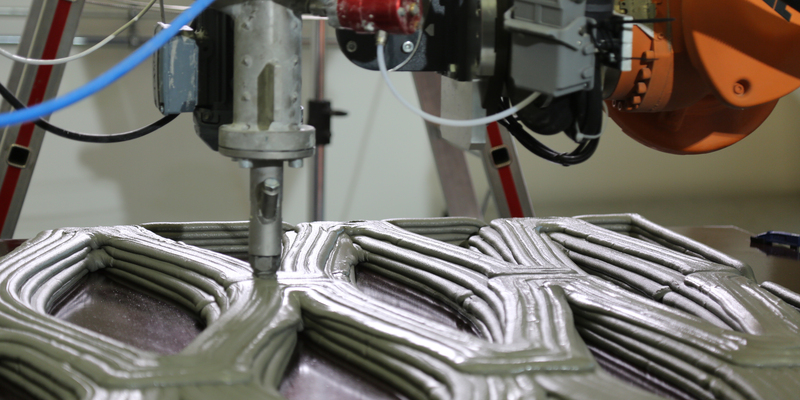 Featured image shows the successful printing of the first layers of concrete for the prototypes. Photo via TU Graz.